The Atwater Kent Museum building was the original home of the Franklin Institute. Opened in 1826, the building housed the Institute for 109 years. The Franklin Institute moved to its present building on the Parkway in 1933. After the move, the building was slated to be demolished, but it was purchased by radio pioneer Atwater Kent as a museum for the city of Philadelphia. Dedicated to Philadelphia History, the museum houses a wide collection of diverse historical items. Some of the exhibits include a 40 foot map of Philadelphia, allowing the visitor to experience a walking oritentation to the area. 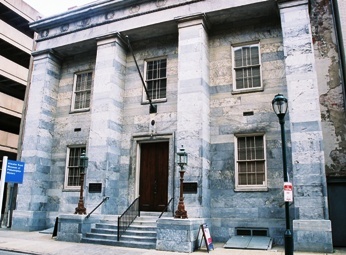 The museum also houses a collection of unique Philadephia artifacts and paintings. Another unique collection is the museums exhibit of hats which represent both changes in fashion, and the city's history as a manufaturer of headwear. As the official museum of Philadelphia, the museum specializes in exhibiting collections that represent both everyday life through the years, as well as special collections representing Philadelphia industry and crafts. The museum is located at 15 south 7th Street.